Which city has the best public preschools in America? This is the second story in a series exploring the current state of America’s preschools. 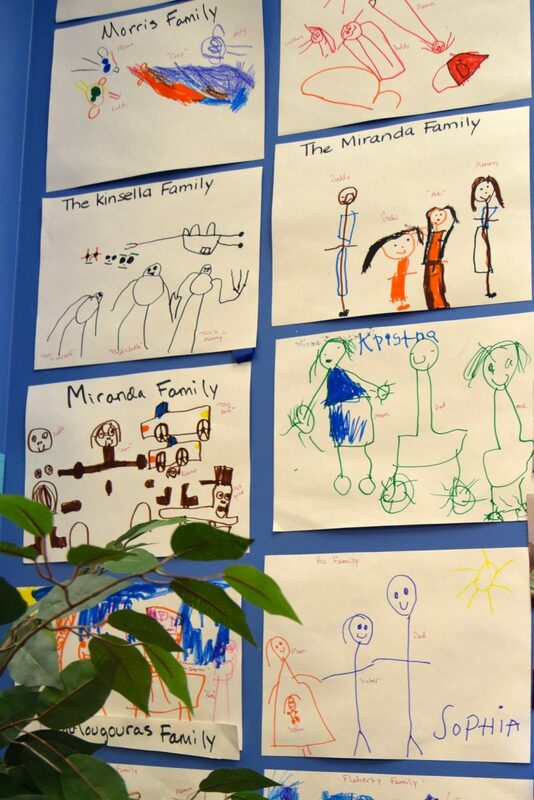 BOSTON — On the ground floor of Russell Elementary School in the Dorchester neighborhood of Boston one February morning, three teachers supervised 20 students in what is considered one of the best free, public preschool programs in the country. Sitting on a bright rug in a cozy classroom, 4- and 5-year-old students discussed how the letter M looks a lot like the letter W. Judging by their looks of concentration, this was a tricky point. Having established, with the help of lead teacher Mary Bolt, that their classmate Mario’s name contained an M, but not a W, they moved on to clapping once for each syllable in classmate Avah’s name and then counting the letters (four) and giving her a rousing cheer (Gimme an A! Gimme a V! Gimme an A! Gimme an H! What’s that spell? Avah!). Next, it was free-play time. Students scattered to different areas of the room, to create capes out of donated fabric in the art section, build the city of Boston out of blocks in the block section, illustrate their own books in the writing section, sketch some yellow daffodils in the science section, and play house in the make-believe section. Later, there’s story time. First, Bolt offered a preview of the new words the kids would hear, like “ambled,” “curious” and “swishing,” which students acted out by swaying their hands back and forth. Then Bolt read The Lion and the Little Red Bird, a story about a curious bird and a lion who loves to paint colorful scenes by using his tail as a brush and natural pigments as paint. Then, once again, the kids were loosed on the room, finding math games or puzzles at all of the pint-sized tables and rug-based play areas scattered throughout. Bolt and the other adults moved from table to table asking kids questions about their pursuits or challenging them to try something new. From start to finish, a day in Bolt’s Russell Elementary classroom could be a primer on what high-quality preschool is supposed to look like. Children had free time to play with friends in a stimulating environment, received literacy instruction that pushed beyond comprehension to critical thinking and communication and were introduced to complex mathematics concepts in age-appropriate ways. All three practices have been shown to go beyond increasing what children know to actually improving how well they learn in kindergarten and beyond. Boston’s preschool program, called K1 locally, serves about 68 percent of the 4-year-olds likely to enroll in public kindergarten. But while it has been criticized by some for its slow growth, the program has won repeated recognition from experts in the field for its high quality and has been validated by outside researchers for being student-centered, learning-focused and developmentally appropriate. “If it’s not a quality program and it’s just a place for 4-year-olds to be all day, it’s not effective,” said Marie Enochty, a program director in the school district’s early childhood education department, neatly summarizing the message heard at every turn here, from the classroom to the mayor’s office. Providing high-quality public preschool is no small feat. Only a handful of city and state programs meet the quality standards established by the National Institute for Early Education Research, a think tank that publishes annual reports evaluating state preschool programs across the country. Boston’s program exceeds those standards. In fact, the school district here is so enamored of its preschool program, city school officials hope to soon bring the principles of high quality early education to later grades. 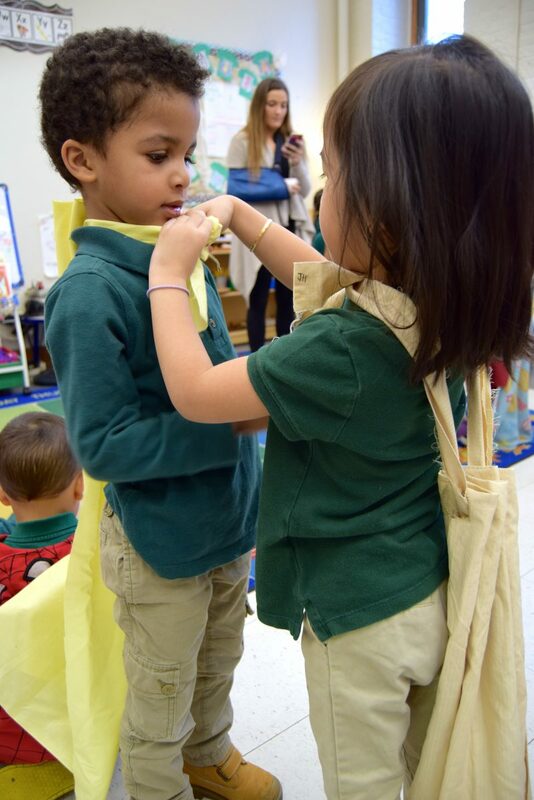 The key elements of quality are simple, says Jason Sachs, director of the district’s early childhood education department: A great curriculum and ongoing, effective staff support. “Who the teacher is and what the teacher is teaching? Huge,” Sachs said. Of course, a dozen other factors contribute to the program’s success. To start, Boston’s students are among the highest performing urban kids in a state routinely ranked as one of the highest performing in the nation, as judged by reading and math scores on the National Assessment of Educational Progress (NAEP), a test given to a representative sample of fourth and eighth graders. What led to that success? It depends on whom you ask, but the answers include well-educated, well-paid teachers, strong unions, a population willing to pay significant amounts in taxes to fund education, and relatively small class sizes. The district estimates it spends about $12,450 per K1 student each year. That helps cover a salary for an assistant teacher in every classroom and a sizeable budget for materials and supplies. That amount does not include the costs of providing one-on-one teacher coaching, improving and customizing the curriculum and making sure each classroom meets the accreditation standards of the National Association for the Education of Young Children. Much of the funding for those functions comes from the Barr Foundation, a Boston-based philanthropy. Having private funding has been critical, Sachs said, though he doesn’t expect it to last forever. The district has also won some federal grant money. To offer universal preschool at the quality level needed, local funds and a revolving set of federal and private grants won’t cut it, Boston Public Schools Superintendent Tommy Chang said. “We need state and federal support,” Chang said. The district does receive some ongoing state and federal funding, but officials here say it is not enough to cover everything they need to keep quality high. As a state, Massachusetts ranks poorly on measures of access and better on measures of quality in its public preschool program. Boston Mayor Martin Walsh, a Democrat, tries to make up what the program lacks in state support with enthusiastic local support. Like his predecessor, former Mayor Thomas Menino, Walsh sees preschool investments as the key to a better educated, stronger workforce, a falling crime and incarceration rate, a growing stream of new businesses to “Bean Town” and a more affordable cost of living for residents. Despite a budget deficit, Walsh committed $3.1 million to public preschool for the 2016-17 fiscal year. And then there’s Sachs. He has been leading the district’s early education department for more than a decade. His blunt confidence in the system-changing potential of high-quality early education and his indefatigable pursuit of the funds needed to do so make him a forceful presence in the district. Sachs worked on early learning policy in the state education department before moving to Boston. Now, he leads a 21-person team of coaches and curriculum experts. Sachs and his team have brought in so much money through outside grants that only seven of the team’s positions are paid for directly by the district. 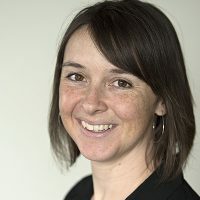 For a teacher like Bolt, 10 years into her career, Sachs’ laser focus on quality means she is constantly interacting with the team that developed the curriculum she uses in her classroom. She gives them feedback on what works or doesn’t work with her students and then tries out potential improvements. She sticks to a district-wide schedule, but has the prerogative to make alterations as she sees fit. Bolt says she follows her kids’ cues. If they’re bored by a book she’s supposed to read several times, for instance, she moves on to a new one. Still, she has no hesitation about using a curriculum aimed at increasing academic abilities, including skills like critical thinking and problem solving. Such a planned learning environment is anathema to some early educators. 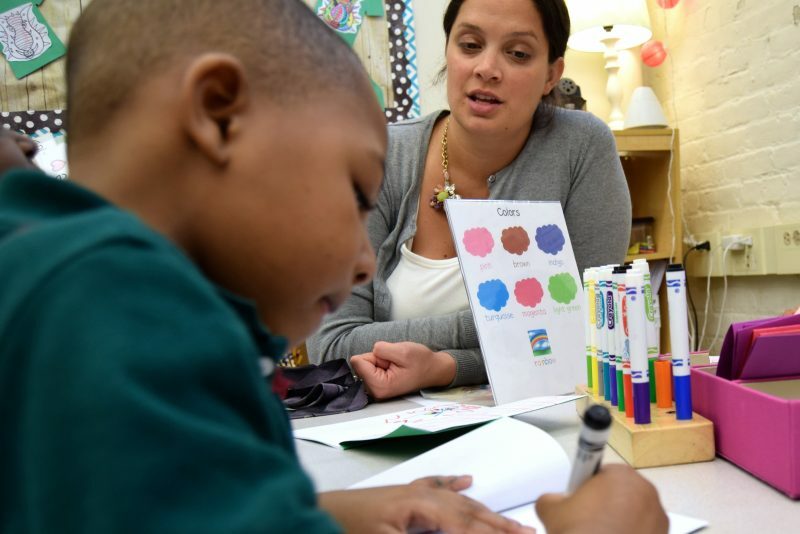 The necessity, or even benefit, of hiring teachers with bachelor’s degrees or having a structured curriculum are still matters of debate in early education. But many non-public school preschool programs in Boston have bought in to the district’s way of thinking, thanks to an initiative that provides their teachers with additional training and pay. 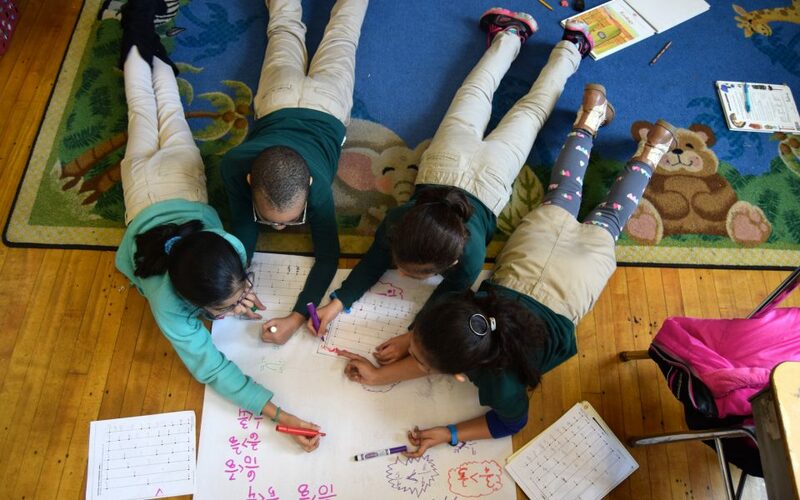 $52,632 — Starting salary for any Boston Public Schools teacher with a bachelor’s degree but no master’s degree and for preschool teachers at participating community-based programs. Using funds from a federal Preschool Expansion Grant, Boston will support 300 spots in community-based preschools next fall in addition to its 2,800 public school-based spots, according to district spokesman Daniel O’Brien. Part of the Obama administration’s push to improve public preschool programs, the grant should provide $15 million annually for four years to be split among five Massachusetts communities. 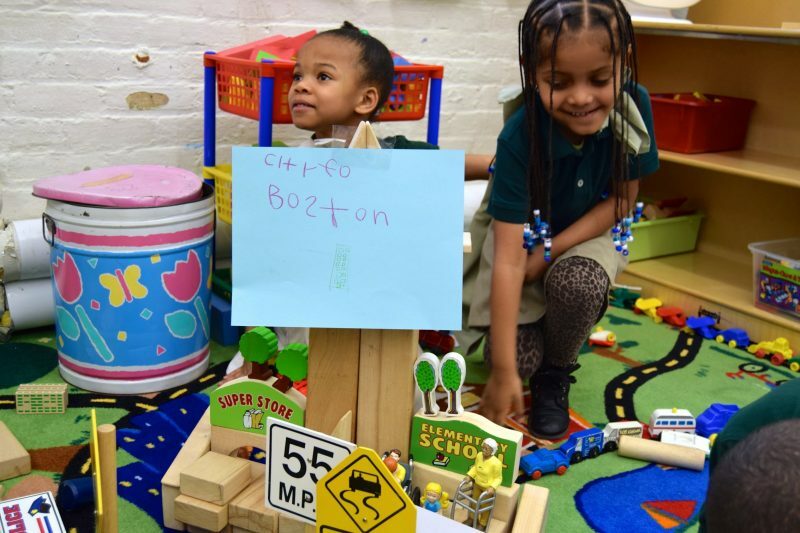 While each Preschool Expansion Grant recipient has outlined a different plan for using its funds, Boston is focused on improving citywide preschool quality. Participating teachers learn how to teach the public school curriculum and a receive pay bump that brings them up to par with the starting salary for a Boston Public Schools teacher, which is $52,632 for a teacher with a bachelor’s degree, but no master’s degree. Kinsella Scannell started working with the district in 2006 as part of a pilot public-private partnership model. 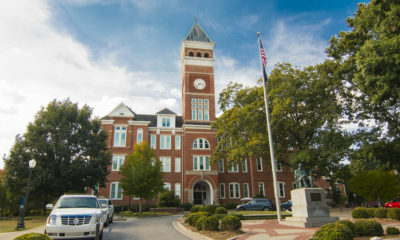 Since then the program has gone through two rounds of expansion. Some, Kinsella Scannell acknowledges, are wary of working within the more rigid structure of the public school system. 2,800 — Number of preschool spots available in Boston Public Schools. Working in groups, or “centers” where kids can explore different activities in different areas of the room, is not a new idea in elementary education, but Ballard’s room is on the leading edge of a new focus in Boston that Sachs likes to call “percolating up.” That means the ideas that have been found to be effective in the earliest grade are now beginning to be applied to later grades. The city also has minimum support from the state, which provides free preschool to just 7 percent, or about 6,500, of the state’s nearly 92,000 4-year-olds, according to the National Institute for Early Education Research. Republican Gov. Charlie Baker has not made preschool a signature issue, though he did authorize an incremental increase in funding that will serve 2,000 additional students in the coming school year. Steven Barnett, the director of the National Institute for Early Education Research, thinks that cities, not states, are leading the way to the idea that preschool should be a right guaranteed to every 4-year-old in America. Major changes in education policy “tend to come locality by locality, rather than statewide,” Barnett said. “If we look at the introduction of the comprehensive high school, the big cities led the way on that,” he said. Now, Barnett thinks we could be about to see the same kind of widespread adoption for public preschool, one city at a time. And he may be right, because Boston is not alone. New York City, Cleveland, Denver, Seattle, Los Angeles and San Antonio, to name a few, also have large and growing public preschool programs. In many cases, Barnett said, that’s because they were “dissatisfied” with what their state has to offer. 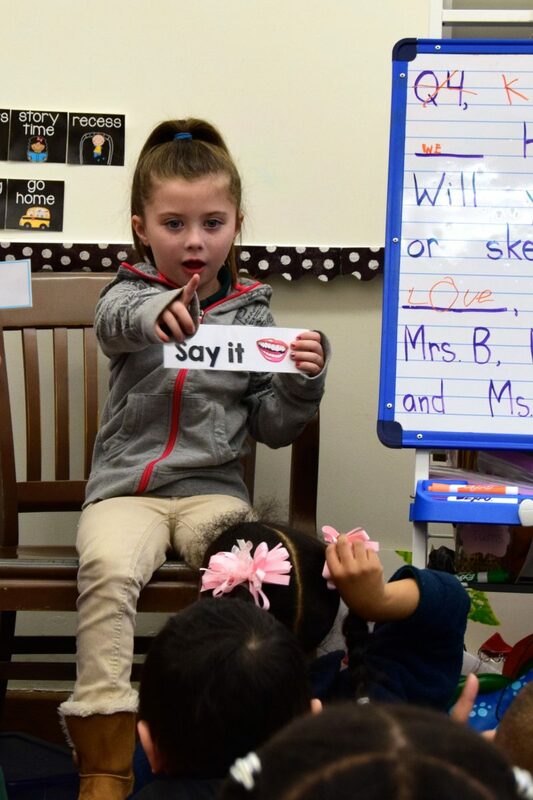 Several city mayors, especially former Mayor Julian Castro in San Antonio and Mayor Bill de Blasio in New York, even made expanding preschool a key campaign issue. After the video, the group broke into teams to role-play a coaching meeting with the teacher in the video. St. Victor has studied early childhood in Haiti and law in Paris and then early childhood again in the United States. She takes her work very seriously and is insistent that there’s always room for improvement. “Just because you have 20 years doing something, doesn’t mean you’re doing it well,” she said. Her way of thinking is echoed by most of the early education staff and by teachers like Bolt and Ballard. There’s always room for improvement. So while Boston’s program is exceptional by the standards of what is offered nationally, no one here is satisfied.